In an unscheduled address on Nov. 11 during the U.S. Conference of Catholic Bishops’ annual meeting in Baltimore, Auxiliary Bishop Eusebio Elizondo of Seattle, chairman of the bishops’ migration committee, said the conference would continue to work with both parties to pass the long-stalled comprehensive immigration reform package. 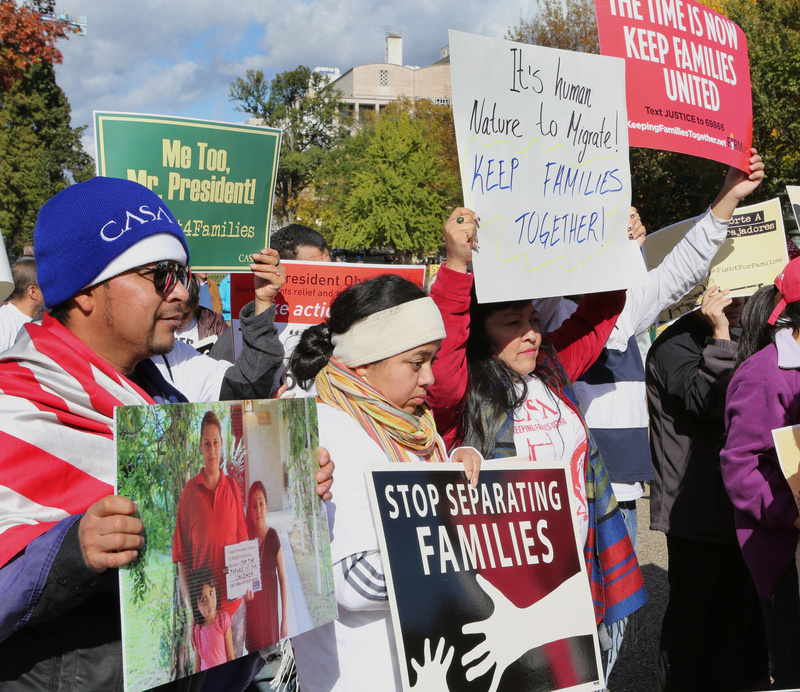 But, Bishop Elizondo added, given the urgency of the immigration crisis and the recent electoral gains by Republicans who have resisted earlier reform efforts, “it would be derelict not to support administrative actions…which would provide immigrants and their families legal protection. “We are not guided by the latest headlines but by the human tragedies that we see every day in our parishes and programs, where families are torn apart by enforcement actions especially,” he said. As President Obama readied the executive orders expected to halt deportations on Nov. 14, Vice President Joe Biden was meeting with leaders of three Central American states at the InterAmerican Development Bank in Washington. The vice president announced a new plan to stem the flow of young people northward to the U.S. border. Biden said that beginning in December, the United States will offer refugee status to some undocumented youths from El Salvador, Guatemala and Honduras. Parents legally residing in the United States can request refugee status for children left behind in Central America who are threatened by the region’s out-of-control gang and drug-cartel related violence. The plan is a stop-gap measure to respond to the humanitarian crisis at the U.S. border. As many as 70,000 young people, often traveling unaccompanied and some as young as 5, have crowded the border this year, seeking to be reunited with parents and other family members in the United States. The Obama administration hopes that allowing children to be registered outside the United States for refugee status might discourage those dangerous sojourns. Central American children who meet the requirements will be part of a quota of 4,000 people from Latin America receiving refugee status each fiscal year, U.S. officials said. This article also appeared in print, under the headline "Obama Readies Executive Order; Some in Congress Prepare for Fight," in the December 1, 2014 issue.